How can we reduce the number of mosquitoes in our outdoor learning environment? All mosquitoes require standing water to breed and some species only require 4 days to reach maturity. Objects that collect water provide mosquito breeding areas. This includes tarps, tires, planter saucers, children’s toys, and clogged gutters. Clear roof gutters of leaves and debris that prevent water from draining properly. Gutter guards can help prevent leaves and debris from clogging gutters and downspouts. Water in birdbaths should be changed at least twice a week. 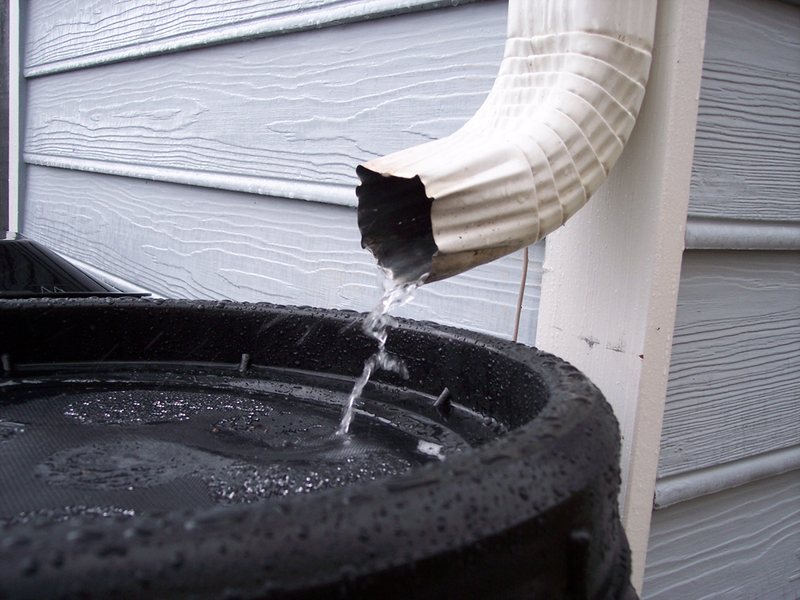 Empty or discard containers that can hold standing water. Rain barrels and cisterns should have screens to keep out mosquitoes. Correct drainage problems that cause water to pool. Remove debris or report drainage problems in ditches and culverts. house, go to Bat Conservation and Management. Because dragonfly larvae are aquatic and adults must live near a body of water, dragonflies are a good option if you have an existing body of water. 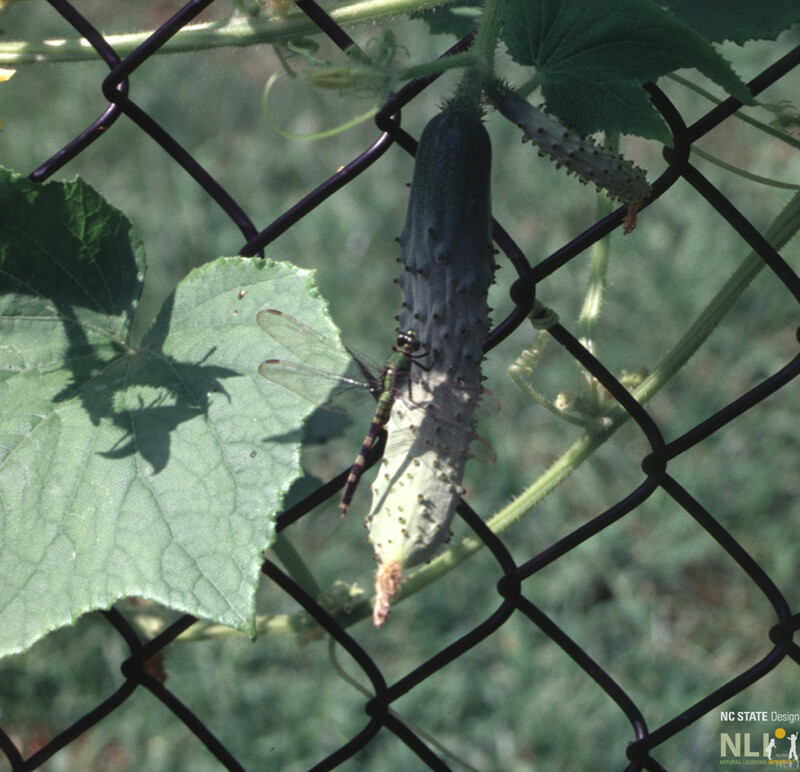 Some plants have odorous attributes that mosquitoes dislike. Crush the leaves and rub them on your skin and clothing for the most protection. Plant them densely within most used settings. They can be interplanted with vegetables or planted within a sensory garden. Mosquitoes are attracted to dark clothing and some can bite through tight-fitting clothes. When practical, wear long sleeves and pants. Do not wear perfumes or scented soaps, deodorants, lotions, etc. An anchored fan, secured and out of the children’s reach, can help keep mosquitoes away and provide a cooling breeze . A dragonfly seen on a North Carolina OLE will help reduce the number of mosquitoes. A rain barrel with screen to prevent mosquito access to the collected water they need for breeding. 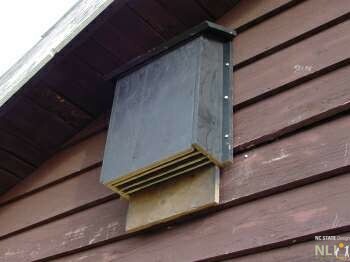 A bat house provides shelter for bats, which help control mosquito populations. Ingestion of garlic and vitamin B12 has been proven in controlled laboratory studies to have no impact on mosquito biting. Eating bananas does not attract mosquitoes.